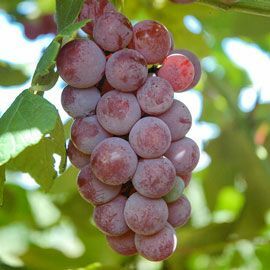 Enjoy the sweet, unique strawberry-like flavor of this red table grape. One of the earliest maturing and among the most cold-hardy seedless grapes, Somerset grows in small to medium-sized compact clusters. Firm, juicy berries have adherent skin and are best eaten fresh or made into jelly. Zones 4-8.No. 1, 1-Yr Bareroot. Depth: Plant at the same depth as in the nursery. 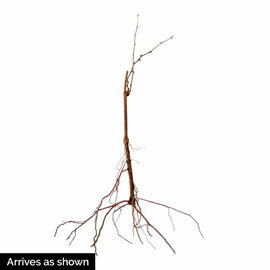 Plant so the roots are below soil level. Soil Requirements: Highly organic, well-drained soil. Fruit: Medium-sized, red table grapes with a juicy, firm, crisp texture. Sweet, strawberry-like flavor.